This week the gang have a surprisingly long discussion about the Ankheg. 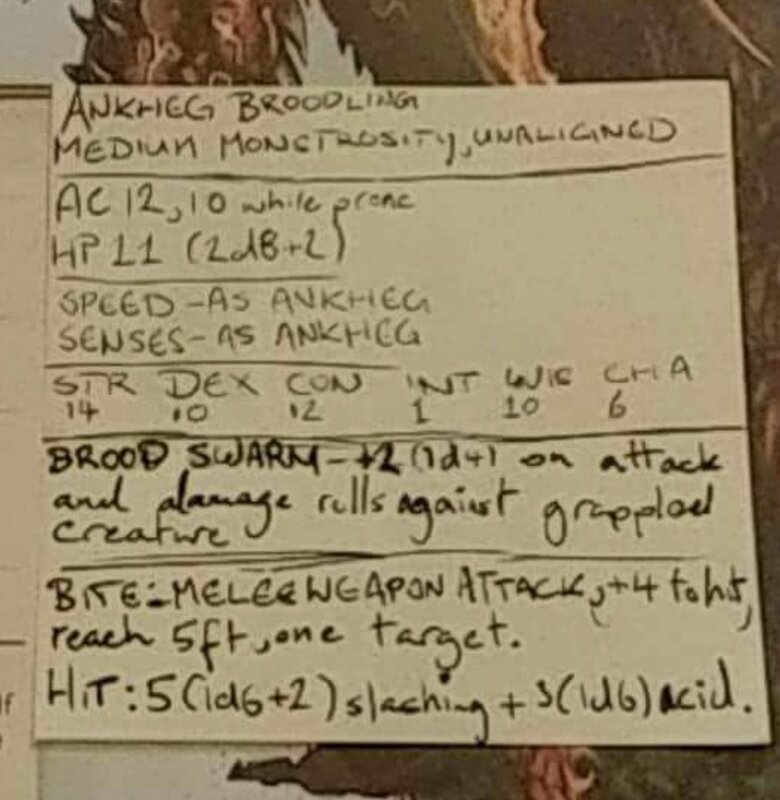 Below we have a real image of Dan’s Monster Manual with the sticky note detailing the Ankheg Broodling and here’s a neater digital version. Apologies for the late upload, Monday gremlins ate the pod! In this week’s episode of Creature Club, Dan, Mikey and Tim talk about animated objects and the dangers of chairs. In the conclusion of our two-part angel episode, we discuss the Planetar, the soldier of the gods and the Solar, the archangels who lead divine forces. In episode 3 (our first two-parter!) we start talking about angels. We talk in-depth about the messenger of the gods, the Deva.